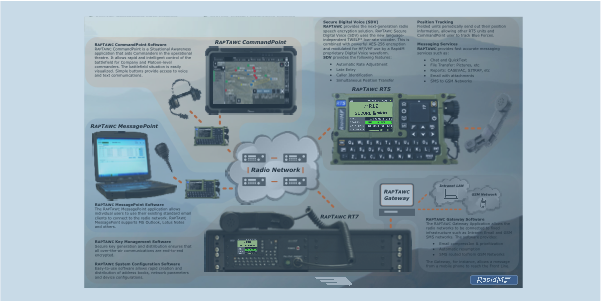 RAPTAWC MIL offers secure voice data communications over mixed-vendor radio networks using embedded modem & cryptography protocols in the RAPTAWC devices. The RAPTAWC MIL system is optimized for multi-rank tactical deployments. Solutions are available for base, land vehicle, vessel and man-portable installations.